This was for a dark Jedi Warrior. 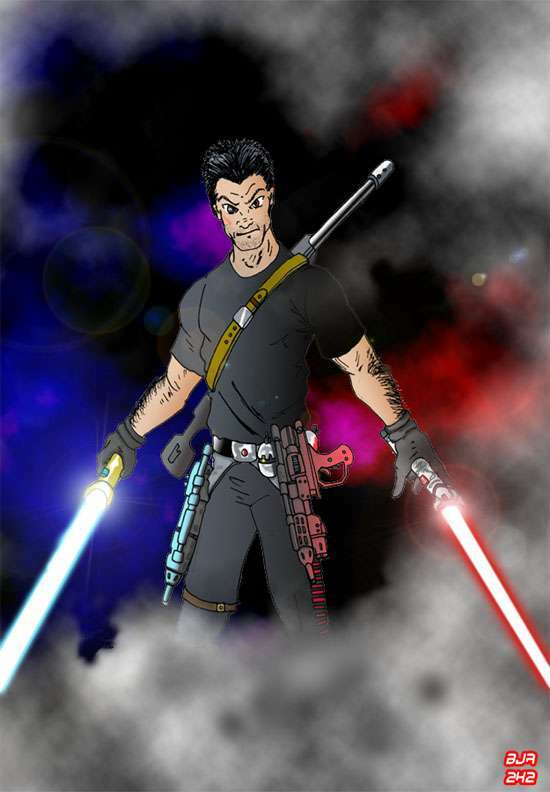 Given the color of the lightsabers he has I decided to throw in the dramatic background to reflect those colors and to tie the piece together. If he wasn't brimming with evil intent he would look almost patriotic.